Where are STEPCRAFT products manufactured? They are manufactured in Menden Germany. If you would like to take a virtual tour of the factory, click www.stepcraft.us/menden. 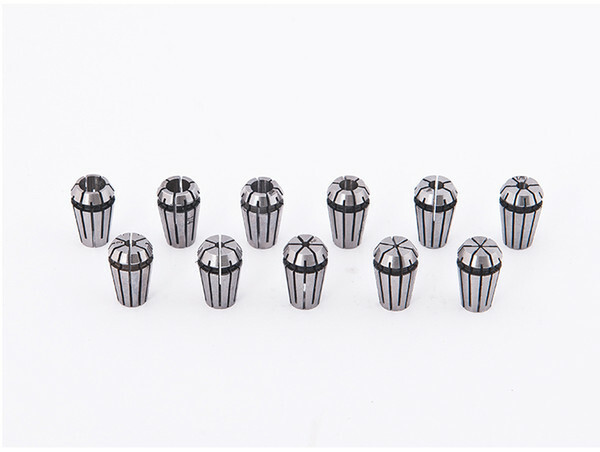 What is the maximum workpiece size that can be placed in the machine? Clamping Surface is maximum size of work material that you can place onto the machines bed. Travel Distance is the maximum amount that the gantry and cutting bit will move. As an example, the STEPCRAFT-2/300 has a clamping surface of 14.96″ x 8.74″ (380x222mm) but the travel distance is equal to 11.81″ x 8.27″ (300x210mm). This means that you can place a slightly larger workpiece onto the bed than you can actually cut. The number that is most important when choosing which size STEPCRAFT machine to buy is the Travel Distance. The following chart reflects these sizes as well as the overall dimension of the machines. Clamping Distance is the middle set of dimensions and Travel Distance is the Lower Set of Dimensions. What is the maximum speed the STEPCRAFT CNC will run at? Keep in mind that there are very few materials where you will cut at full speed. Many times you will run closer to half the speed but you will be able to take deeper passes. The actual speed that you will run at will largely depend on the material and the end mill (bit or cutter). What is the maximum height of the work material that I can place on the work bed? The total travel distance for the Z axis is 5.5″. However, you need to keep in mind that some of that height will be used up by the systemheld tool that you place on the machine. 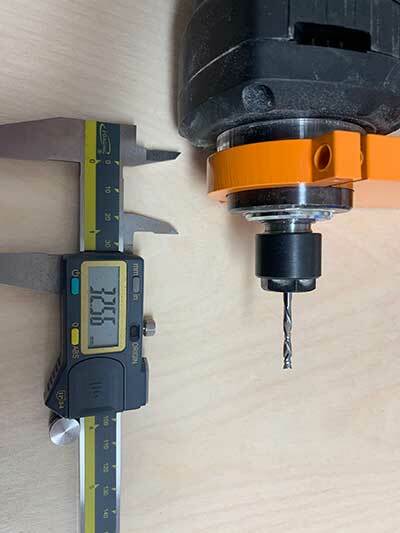 For example, the HF500 spindle and collet stick below the tool holder by about 1.2″ This would reduce the total material height to 4.3″ From that you need to account for the length of the tool as well. What is the main difference between all the STEPCRAFT models? The main difference is in the physical size, specifically in the X and Y dimensions. However, the model 300 does have a shorter Z axis dimension of 3.12″ versus 5.5″ on the 420, 600 and 840 models. The speed, controller board, software and functionality of each machine is exactly the same. What is the difference between the STEPCRAFT Version 1 and Version 2 machines? 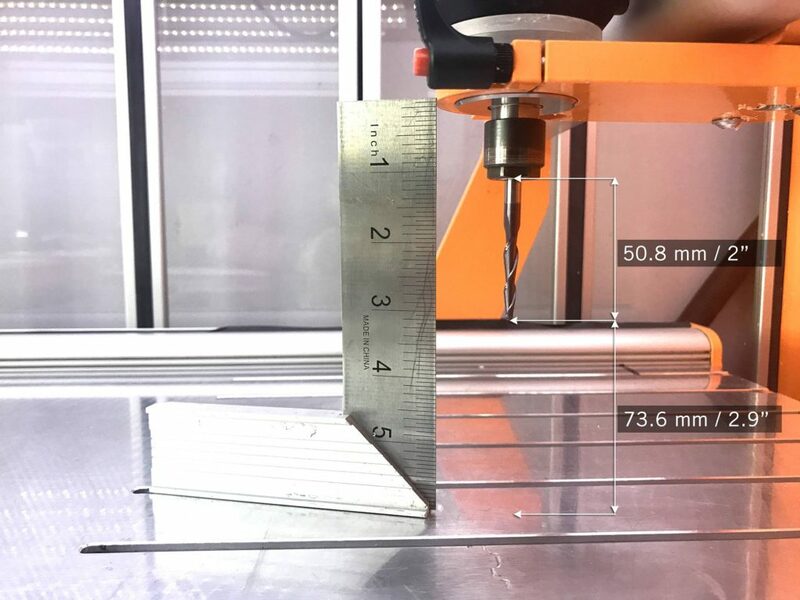 What is the accuracy of a STEPCRAFT CNC? The level of accuracy that you will achieve with a STEPCRAFT CNC is based a lot on how well the machine was assembled and how well it is maintained. If your machine is setup with a lot of movement in the gantry and lead screws, this will equate to less accuracy at the bit. 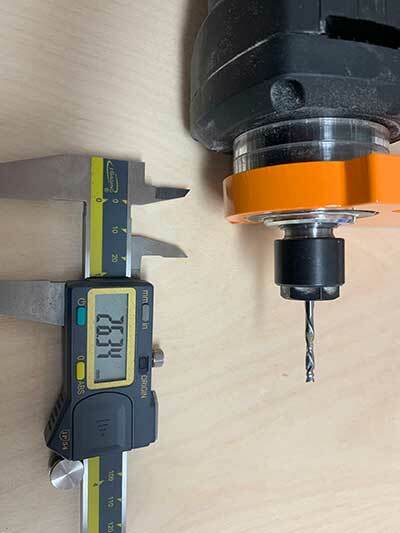 However if you take the time to not only setup and maintain the machine properly, but also take the time to do the software backlash compensation, then you can see accuracies of .001″ or better. On average a customer can expect .0015″ – .003″ of accuracy in their machine. What clamping system comes with the Stepcraft CNC system? The Stepcraft CNC machines come with a White Formica hardboard table and a pair of cross clamps that fit into integrated slots in the inner frame of the machine. These cross clamps have bolts in them which will allow you to secure material up to about 1/2″ in thickness. Another alternative for fastening material is to use double sided tape and stick it to the white top. This will securely hold the material in place while you cut it. 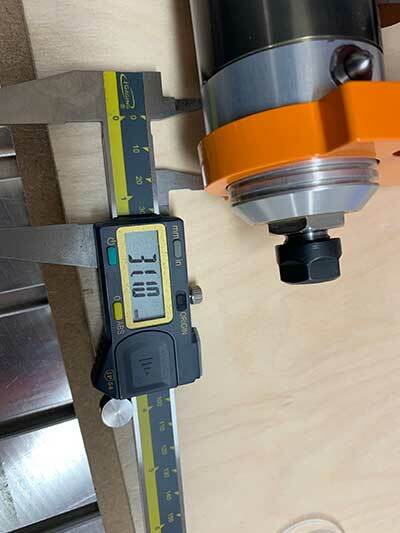 Another common practice is to cut a piece of 3/4″ MDF to the size of the word table and secure that to the white surface using double sided tape. This will also act as a waste board and it will allow you to screw material into the board to secure it. Stepcraft also sells a T-slot table option for all of their machines except the 210. This will allow you to clamp the material using either Stepcraft Clamps or a variety of aftermarket T-slot clamps. In most cases you will need some sort of waste board under your work material to prevent you from damaging the white table or T-slot table. What are the differences between the 5 different STEPCRAFT Desktop CNC models? The STEPCRAFT 210 is based on a version 1 of the STEPCRAFT CNC product line. It will have a very small work area as well as a max speed of around 30mm/sec and a lower Z height (around 3″). The STEPCRAFT-2/300 has the same specs in terms of speed and functionality as the 420, 600 and 840, but the Z height is slightly shorter (around 4″) as compared to the 5.5″ of the other machines. 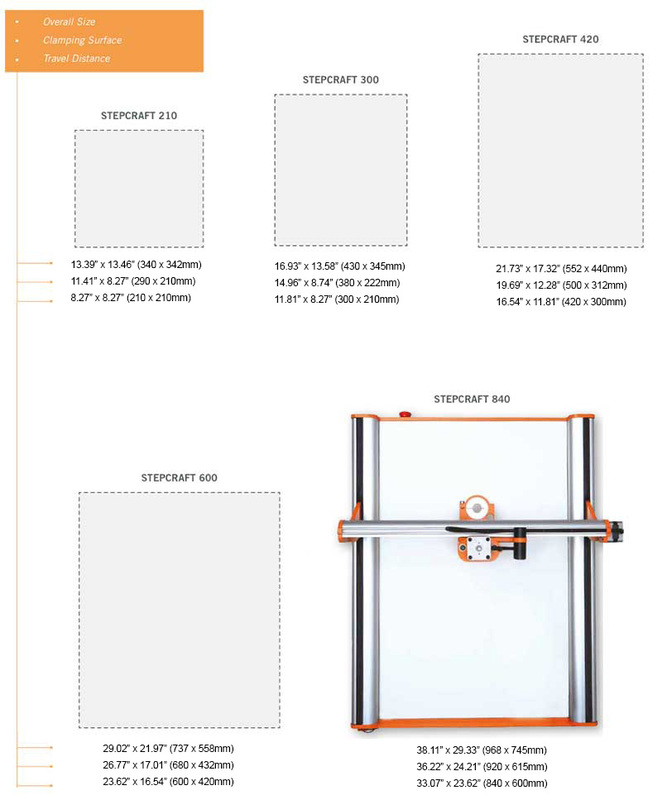 The STEPCRAFT-2/420, STEPCRAFT-2/600 and STEPCRAFT-2/840 all have the same basic specs with the exception of the total work area size in the X and Y dimensions. The following chart will help illustrate the differences between the different size STEPCRAFT desktop CNC machines. Is there a size comparison chart for all STEPCRAFT machines? Is the Stepcraft-2/840 machine your largest model? Yes it is our largest model with a usable work area of 33″ long by 23.5″ wide. The length can be unlimited as you can pass material through the machine, so you could run long projects through it, such as an 8 foot long sign. Your only limitation is the 23.5″ width. How noisy is the STEPCRAFT CNC? It really depends on what you are using for a spindle, bit and what type of material that you are using. Statistically larger diameter bits will produce more noise. The same is true for using a router as a spindle instead of a CNC spindle like the HF500 from STEPCRAFT. It also depends on what you are using for attachments. For example, if you are using the 3D Printer, foam cutter, drag knife, engraving point or wood burning pen, then the only noise you will hear is the rhythmic whine of the stepper motors working in unison together. 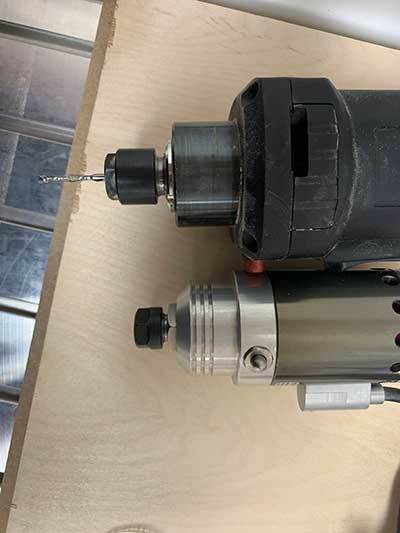 If you are using a Dewalt DW611 router with a 1/4″ end mill then the noise will be much greater; about the sound of an electric hand mixer but not as loud as a blender. If noise is a concern for you, then you can consider getting a STEPCRAFT Enclosure which will reduce noice by as much as 50%. 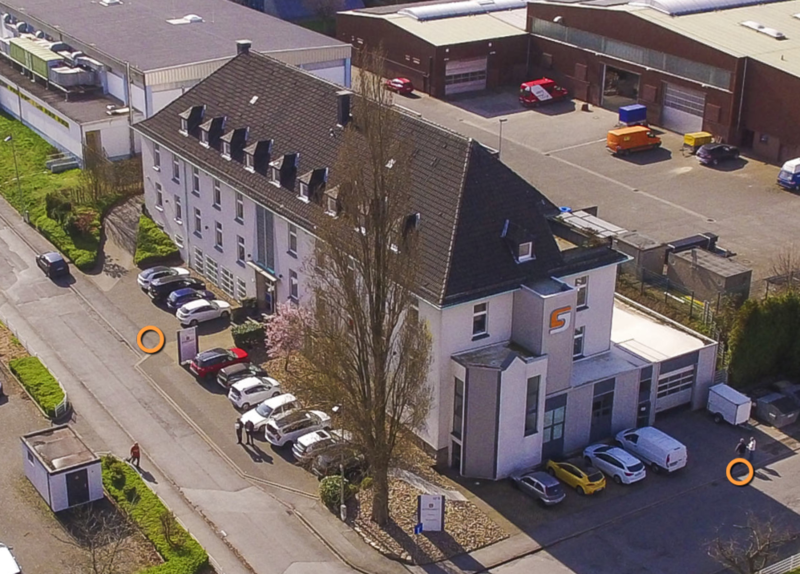 How much of STEPCRAFT CNC machines are “Made In Germany”? How fast does a STEPCRAFT machine run? The speed of a CNC is usually measured in in/min (inches per minute) or mm/sec (millimeters per second), if metric. This refers to the feed rate of the machine. Meaning how fast the cutter can move though material. A STEPCRAFT CNC (version 2) will move at a rate of 50 mm/sec or 117.6 in/min. Just because that is the maximum speed of a CNC machine does not mean that is the speed you will run at all the time. In fact, many materials will require you to run much slower than that. For instance, cutting a piece of 1/4″ plywood would require a feed rate of about 25 mm/sec, whereas cutting 6061 aluminum would be slower at around 15 mm/sec depending on the bit you are using. If you were cutting or carving foam, then you could most likely run at full speed. However cutting hard wood like maple will require you to run much slower. A general rule of thumb with a STEPCRAFT is for most materials to start running at 20 mm/sec and then adjust the speed while the job is running in UCCNC to obtain the best performance and cut quality and the best cutter life. Once you determine the optimal feed rate you can calculate that and set it up on a cheat sheet or in the tool library for future use. For example, if you setup a job to run at 20 mm/sec and once running you find that you can go faster and you increase the feed rate to 140%. Then you can setup the tool in the Vectric tool library (or tool library for your CAM program of choice) with a new feed rate of 28 mm/sec (20 mm/sec x 140%). Now you can recall that tool the next time you run that material and it will automatically have the correct feed rate programmed in so you don’t need to remember. 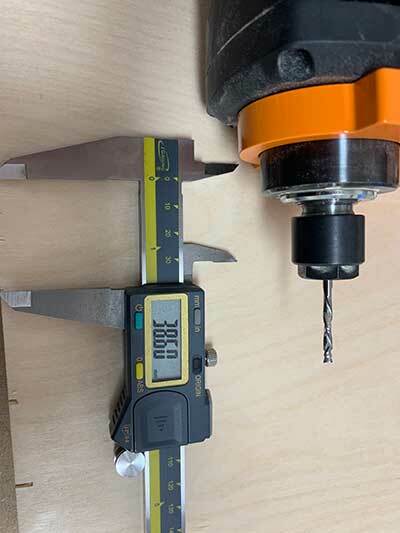 When you are working with a hobby, light duty or non-production CNC, then the max feed rate is not as important as ease of use, accuracy and reliability. If you were running a production shop with a high end CNC mill that costs upwards of $100k, then max speeds would be more of a consideration. Take care of your machine and do not push it beyond its capacity and it will last you a long time with very little maintenance requirements and your tools (bits) will last much longer as well. Does STEPCRAFT support industry-standard G and M codes? Does STEPCRAFT support helical interpolation? Yes, you can easily do spiral (helical) ramping with most standard CAM software programs, which will generate the G Code for you. Vectric programs, such as Cut 2D and VCarve support this with the click of a button.